Tim Wulf, a Jimmy John’s franchisee, says the Republican tax plan doesn’t help small-business owners. Wulf, a former economics professor, says the tax bill lacks measures to boost labour productivity, which he identifies as the most important driver of US economic improvement. 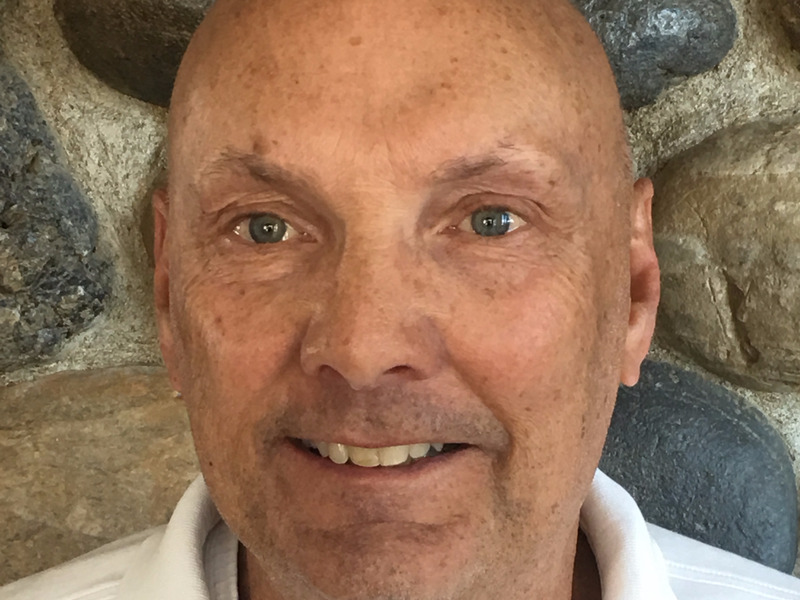 Tim Wulf, a Jimmy John’s franchisee in Reno, Nevada, was hoping that Republican tax bill would help him pay his employees more. After all, one of the long-running stated missions of tax reform has been to boost wages and improve the standard of living for US workers. Instead, it looks as if the legislation – which officially passed through Congress on Wednesday – could end up making things even tougher for people like Wulf, an economics professor turned entrepreneur. A franchisee of multiple Jimmy John’s sandwich shops, Wulf is part of a rapidly growing network of restaurants that prioritise super-fast delivery. 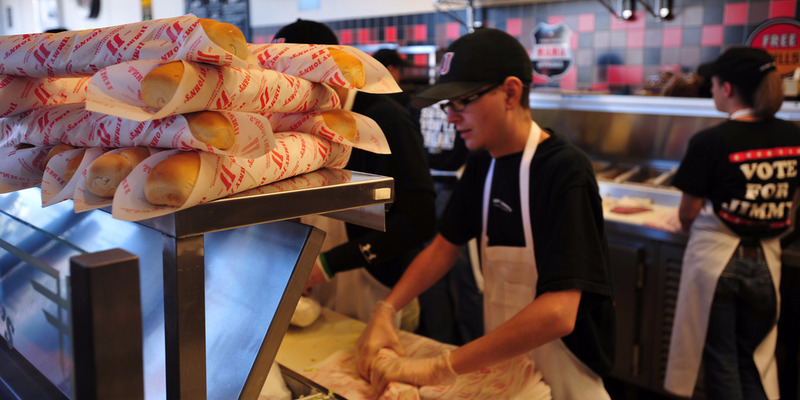 For a Jimmy John’s store to receive an order, prepare it using fresh ingredients, and then schlep it to your front door in a tight window of time, it needs both skilled employees and top-of-the-line equipment. Under the new plan, Wulf doesn’t expect to be able to meaningfully upgrade either of these areas – at least not in the long-term fashion befitting a growing business. And as someone who also serves as the Nevada chapter chair for the National Federation of Independent Business Leadership Council, it troubles him to see how tax reform has played out – not just for his operation but for small businesses as a whole. While Wulf acknowledges the boost this would offer, he wants to see it instated on a permanent basis. That way, owners could invest in their businesses with a clear growth plan in mind – with none of the restrictions that might accompany a finite time horizon. Remember, Wulf is an economics professor – so he explains it that way: It all boils down to making labour more effective, which then translates to better pay. In his mind, investing in technology and machinery are the elements most crucial in boosting overall labour productivity. By making labour more valuable, we can pay employees more. While the equipment-expensing part of the tax bill at least offers an immediate-term positive, there’s no such silver lining when it comes to the GOP’s plans for interest on debt. This issue also ties back to the equipment conundrum outlined above. Without the ability to borrow as easily, small businesses will have a tougher time purchasing the machinery that could enhance labour productivity. In the end, this provision leaves companies more hamstrung financially and doesn’t help boost pay. Simply put, so-called pass-through businesses like S-corporations and partnerships don’t look poised to realise as much of a benefit from tax reform as their C-corporation counterparts – though it’s tough to make a direct comparison between the two. Tim WulfTim Wulf, a former economics professor who is now a Jimmy John’s franchisee. While Wulf realises that there are many moving pieces when it comes to comparing the tax structures of C-corps and pass-throughs, he ultimately just wants small businesses to be on equal footing with large US corporations. At the end of the day, a favourable and competitive tax rate provides more money to sink into capital expenditures. And that reinvestment then improves labour productivity, which then allows a business to rationalize paying higher wages. It’s all connected, and all aimed toward the goal of expanding the economy – of which 70% is small businesses. In Wulf’s mind, the GOP bill doesn’t go nearly far enough toward realising its professed objective of boosting US growth. It’s worth noting that Wulf’s outspoken advocacy for small businesses comes with little self-interest attached. He’s selling his Jimmy John’s stores, with an eye on retirement, and has just one store left to offload. In January, he’ll close on his final location, the 12th-best-performing Jimmy John’s in the US. And his personal politics don’t play a role either. Wulf is a Republican, but he says he looks at political policies from a strictly economic viewpoint. That much can be seen through multiple pieces he’s written for various trade publications and local outlets in recent years. At the end of the day, he wants to see small businesses thrive, and he doesn’t see the shiny new GOP tax bill allowing that. Which is ironic to him, considering their original stated objective.